In today's world we're surrounded by noise and getting away to a rural retreat or remote rural cottage with nothing but birdsong, and the sound of the wind in the trees, can be sheer bliss. And, trust us, you won't necessarily have to travel to remote regions to find them; these rural retreats exist in all parts of the UK and Ireland. 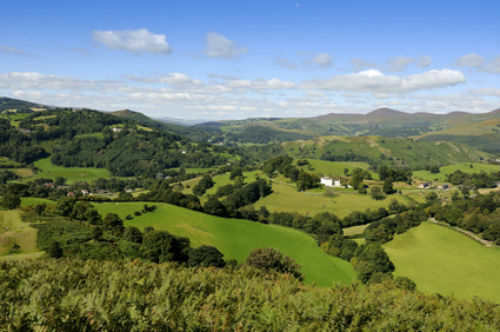 England is home to rolling countryside, hills and moorlands. 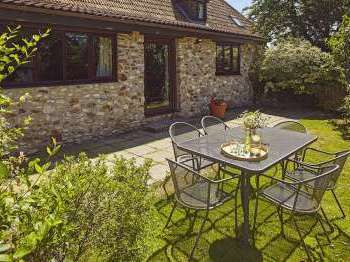 Renting an idyllic rural retreat hidden away in the countryside can be ideal for those looking for tranquility and silence on a self-catering break. For holidays by glens, forests, fields and pastures, Scotland has plenty to offer, from the unspoilt Highlands to the Borders and Perthshire. For a rural holiday where valleys, fields, mountains and meadowlands beckon, Wales could be the ideal place to hideaway on a rustic break. Whether you opt to holiday in Snowdonia National Park or elsewhere, discover tranquility and a slice of idyllic life on holiday in Wales. Whichever part of Ireland you choose to discover, there are so many green and beautiful parts of Ireland where you can hideaway in a crofters cottage or on a farm, far from the hustle and bustle of the modern world. Whether it is the idea of staying amongst beautiful forests, moors or countryside or getting away from it all, we all have our own reasons for seeking out somewhere naturally beautiful where we can relax and enjoy the good things in life. As the saying goes, the best things in life are free and this could be said to be true when it comes to spending time walking and wildlife watching in parks, forests or moorland. 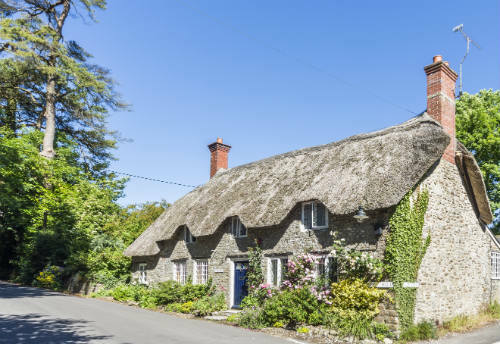 There are so many options for rural cottage breaks including the valleys of Wales, the glens of Scotland, the soft hills of England or Ireland's intriguing countryside, we hope you find the right kind of rural cottage for your needs. Read more about the beautiful British countryside and areas to visit. Staying somewhere green and naturally beautiful can be simply great when it comes to taking it easy. The following country cottages are all rural retreats. For a peaceful rural retreat, take a look at this luxury 5 star log cabin set in a private valley in mid-Wales. 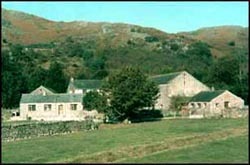 Suran-Y-Coed is located in its own grounds near a stream. If you love the country life and enjoy wildlife watching then you are in for a treat. Look out for birds of prey such as kites and buzzards flying in the sky and listen to owls in the nightime. 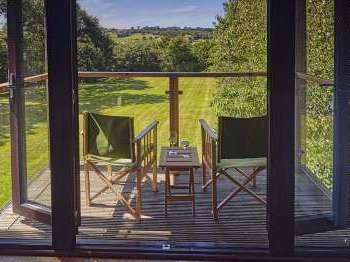 There are amazing views from the cabin of the surrounding countryside and woodlands in this special valley. If you are seeking somewhere for a peaceful self catering break then this lodge may be just perfect for you. The accommodation comprises an open plan ground floor which includes a kitchen, living area and dining area. There is also a shower area with toilet. The kitchen is well equipped for self catering with a fridge, microwave, washing machine, gas hob and electric oven. There is Sky tv, video, a cd player and radio in the lounge. Upstairs, there is a double bedroom with an en-suite bathroom and a twin bedroom. For cosy winter nights there is gas central heating and for your enjoyment in the summer months there is a veranda with outdoor lighting. Enjoy watching the sun set with a glass of wine after enjoying a soak in the hot tub. The secluded hot tub is located at the main house (just 50 yards from the log cabin) and can be hired. Hire our 4-person hot tub to unwind in secluded surroundings. This comfortable lodge benefits from a fantastic setting. The cabin is located near the Radnor Forest, the Brecon Beacons, the Malvern Hills and the Black Mountains. Those who love stunning scenery will be in their element. It is also a good choice if you enjoy fishing as it is possible to fish on site (chargeable at a daily rate) and nearby. This self catering accommodation has a strict no smoking policy and no pets are allowed on account of the working farm location. 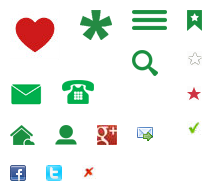 Telephone Chris on 01547 550 348 or click on a photograph of the log cabin to find out more about this relaxed rural retreat in Powys, Wales. >>> More log cabins and pine lodges in lovely situations. Should you require a larger pine lodge to sleep 8 or more, these can also be rented and the largest accommodate up to 12 or 14 people. 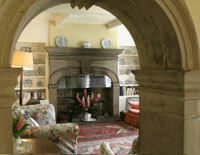 For self catering in a stunning setting how about Glyn Uchaf luxury 5 star cottages in North Wales? These country cottages are located within 11 acres of National Park in a parkland location and offer a high standard of self catering accommodation. Enjoy the best of all worlds with views of the sea, mountains, and the beautiful Sycnant Pass. If you are dreaming of a relaxed cottage break in a peaceful coastal location then do take a look at St. Nons Bay Luxury Cottages. The cottages are located near the sea in a peaceful location near the Pembrokeshire Coastal Path. Each cottage is well equipped and offers luxury quality accommodation. All of the comfortable cottages have enclosed sheltered gardens with a patio and garden furniture. There is also a games room with table tennis or a pool table which can be great for keeping kids and adults entertained. 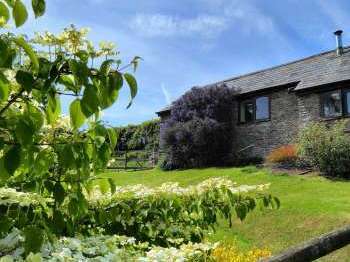 These cottages are in a quiet location yet within 5 minutes walk you can find shops, restaurants and local beauty spots like Bryn y Garn and a historic cathedral. There is also an Outdoor Centre nearby where you can take part in activities such as windsurfing, sea canoeing, abseiling and climbing. 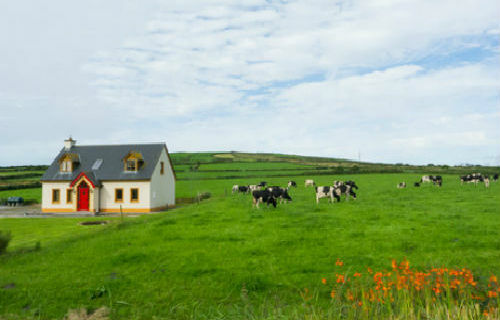 These cottages are in a lovely peaceful setting for a perfect holiday. The cottages are all family friendly. Cots, highchairs and stair gates are provided. Pembrokeshire is a great place to visit for coastal walks. Enjoy watching a spectacular Pembrokeshire sunset or enjoy a brisk day time walk and enjoy spotting birds, flowers and of course the many sheep. Not too far from these cottages you can also find Porthllisky Bay with its rock pools and clear waters, just the place for tranquillity and rejuvenating a tired mind. Telephone 01437 720 616 for bookings and availability of these cottages or click on the images to see more details of these luxury secluded cottages. Little Canwood House is a beautiful 4 bedroom self catering holiday cottage situated in rural Herefordshire. This self catering property is special and a Gold Award winner, which recognises the quality of self catering accommodation on offer. This large house offers 5 Star Tourist Board rated, self catering accommodation suitable for families and groups. It sleeps up to 8 people. Discover a special rural retreat that isn't too remote. This large house enjoys a country location but is just 15 minutes from Hereford if you wish to pop in to town and is 20 minutes from the M50 motorway meaning that it is easy to get out and about should you wish. There are two stables here. Grazing and use of an indoor riding school can be arranged at additional cost. Please note that there will be activity from the riding school. The riding country is spectacularly beautiful with miles of bridle paths and quiet countryside lanes to take advantage of. Transport of horses can also be arranged to allow you to take your own horse on holiday with you. There are 4 bedrooms, a kitchen with an AGA, a cosy woodburner in the lounge, the house is beautifully furnished and comfortable. Click on the photograph to view details of this stunning rural retreat. Country Lodge in Lincolnshire is a large country house set in a beautiful rural setting, surrounded by landscaped gardens, lakes and woodlands. With 6 bedrooms and 6 bathrooms, this house could be just perfect for large families or large groups. What’s more, surrounded by 100 acres of grounds, this is a very special setting. There is a well equipped kitchen at this country lodge and the property is rented out on a self-catering basis. By arrangement with the owners it is possible to book outside caterers who can come in and cater for you for a special event or dinner. Additional charges apply, do get in touch with the owner for more information. This is an excellent house for large family gatherings, hen parties, stag parties, wedding receptions or corporate events. Click on the photograph for more information and images. Collection of 6 luxurious cottages set within 170 acres of woodland, meadows and pastures. This rural hideaway is located within the beautiful Lincolnshire Wolds, a dedicated area of outstanding natural beauty. Poachers Hideaway has even won a Gold Award in recognition of the excellent service provided. 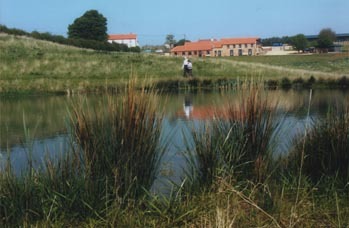 There are a number of fishing lakes which are free for guests to use and guided walks of the beautiful countryside are also available. These 5 star cottages are pet friendly. Some cottages sleep 2 and some up to 8. A number of cottages can be booked together if you have a large group and there is even a function room for up to 26 that can also be booked. 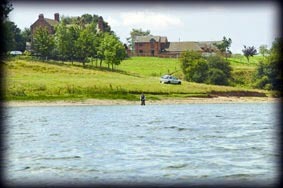 There are a number of activities you can enjoy taking part in including fishing, pony trekking, or walking. 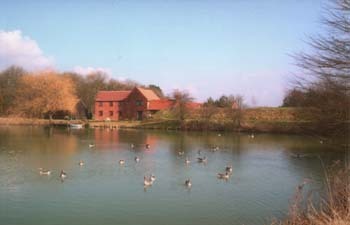 These cottages are well located for discovering the diverse plant and bird life in the Lincolnshire Wolds. Telephone 01507 533555, or 07774890677, or click on image for details. Could there be anything more delightful than a stay in a rustic barn by a lake and surrounded by countryside? At Blithfield Lakeside Barns there is a collection of 4 star awarded self-catering barn conversions centred around a large lake. The cottages offer good quality accommodation and benefit from exposed wooden beams, wood floors and ensuite bathrooms in a number of the cottages. There are 2 dog friendly cottages, ask the owners for more information about which properties welcome dogs. Each country cottage has its own patio where you can sit out and enjoy views of the lake and watch out for local wildlife. There are also communal lawns for your enjoyment. For families with children, there is a children’s play area and a field for ballgames. Located in Staffordshire, from this part of England you can also visit the Peak District in nearby Derbyshire. Please click on the photograph for more information and interior photographs. A collection of secluded cottages and log cabins at Fisherground in Eskdale, Cumbria (the Lake District) where you can 'wander lonely as a cloud' on the hills of the Lake District and return to civilisation in the evenings. Dog friendly. In the nearby village there is no shortage of good pubs. The local village has 5 pubs that offer good food. Telephone Ian on 01946 723 319 for availability, to book a cottage or just for more information about this part of the Lake District. This historic country house benefits from beautiful surroundings in the Trough of Bowland and offers a unique self catering experience. The Lake District is just a 45 minute drive away. This house offers unusual and unique accommodation. The house has monastic origins which add to the interest of the place and now offers comfortable classical accommodation. The house is located in a 2 acre garden and there are lawns and even a maze, orchard and a stream. The house has oodles of period charm and combines beautiful relaxed interiors with a superior setting. The property boasts original features such as sculpted columns and antique furniture. For your entertainment there is a games room offering table tennis, darts, table football. This is an absolutely fabulous house for groups of up to 10 people, click on the photographs of the house to view prices and details. For real country living how about Cissy's Cottage, a beautiful period country cottage near the coast at Aldeburgh in Suffolk. So special is this property that it has featured in Period Homes. Features at thsi cottage include an open fire, a ball and claw bath and a delightful grandfather clock ticking in the hall. This cottage is superb for romantic breaks and for those who want some peace and quiet to share time together. Short break bookings welcome all year round. Click on photograph for interior photographs and details. The Isle of Wight is known for offering a more relaxed pace of living. Thatched, award winning cottage set within the 60 acre grounds of Great East Standen manor on the Isle of Wight. 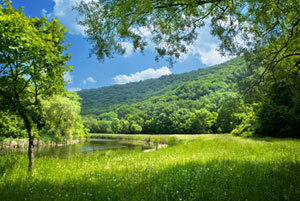 This is a beautiful valley which is a recognised area of outstanding natural beauty. Wonderful opportunities for country walks, bird watching and cycling. There is even a pond where you can feed the ducks. There is stabling available by arrangement so if you have a horse you can even bring it with you. Near the village of Arreton where you can find 2 pubs, a post office and village shop. 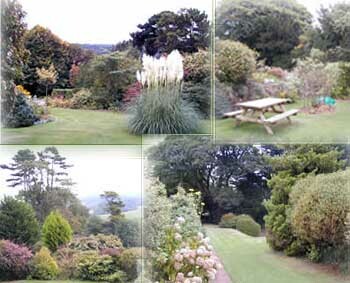 Click on the photographs for details of this rural retreat in the Isle of Wight. 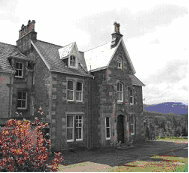 Glencarron Estate. There are few that fail to be charmed by the Scottish highland landscape of lochs and glens. On this country estate in the Scottish Highlands there is Glencarron Lodge and East Cottage. 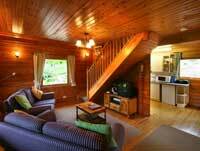 The lodge sleeps up to 18 whilst East cottage sleeps up to 6. Excellent opportunities for walking, there are 4 Munros on the estate. There are also 2 lochs. All in all there are 11,500 acres at this country estate near Inverness in Scotland. Stag stalking available in season. Clay pigeon shooting can be arranged. Large groups welcome. View Scottish rural retreat for details. Peaceful cottages to rent on the Ellary and Castle Sween estate. These cottages are located between Loch Sween and Loch Caolisport. This is a peaceful part of Argyll with wonderful scenery including lochs, glens and a stunning coastline. Enjoy wonderful country and coastal walks. Fishing and boating is also possible locally. Come and enjoy this peaceful, tranquil part of Scotland. Many of these cottages are either by the waters edge or just a stones throw away from the sea. 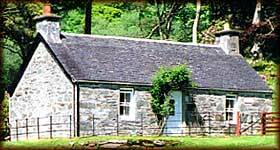 Scotland is by and large a peaceful place to visit for self catering holidays. Loch Monzievaird near Crieff offers a peaceful country setting with 4 star log cabins and chalets. There are 40 acres of grounds which include woodland with oak and beech trees. The self catering cabins are spread out near the loch and have been arranged to maximise views of the loch. The chalets vary in size and accommodate from 2-8. Click on the photo to find out more about these self catering cabins with great loch views. If you are looking for peace, seclusion and privacy in beautiful Scotland, then this accommodation nestled in the Perthshire Highlands could be for you. Telephone: 0176 465 2586 or click on image for more details and photographs. 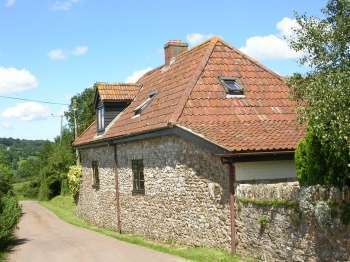 Woodcombe Lodges and Cottages (sleep 2-8). These self catering cottages and lodges are in an enviable location in 3 acres of secluded gardens. The location also borders the National Park and guests can enjoy views of Exmoor. This location is sublime. Although it feels a million miles away when you are in this idyllic spot, just 1 and a half miles away you can find Minehead with its shops, restaurants and everything you might need.